CNC controller board for 3D printers ( including dual extruder machines ), laser cutters and CNC mills, 5 stepper motor drivers, 6 MOSFETS, ethernet, connectors provided and soldered. This page is for the 5XC version ( 5 stepper motor drivers, three small MOSFETs and three big MOSFETS, pre-soldered connectors and Ethernet support ). 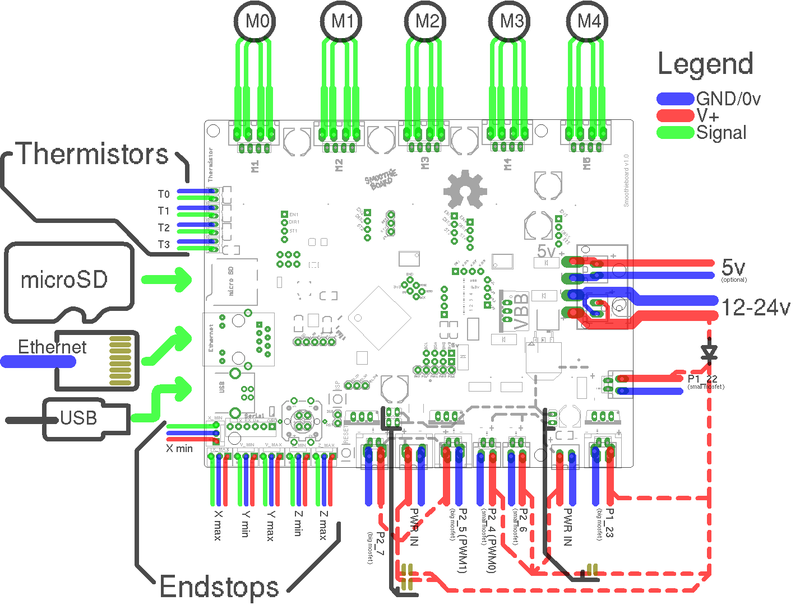 Allows your Smoothieboard to work without requiring a USB cable for logic power. shield - Packaged PANEL GLCD for Smoothieboard (All versions) one push button to play G-code with automount front panel SD card reader ! Serial cable FTDI USB, to connect to UART0 Serial port on the SB.